If you thought brother Ochola was a seriously hungry team mafisi, then you haven't seen it yet. 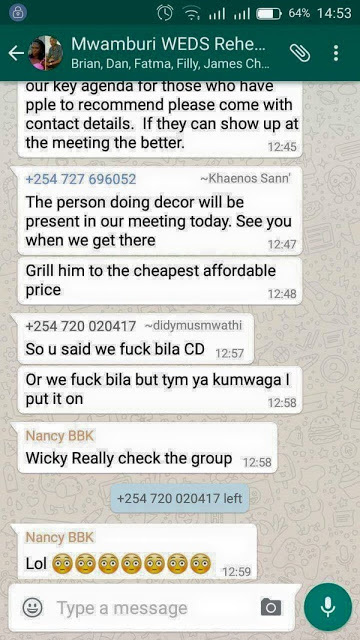 Another Kenyan guy has been caught sending bedroom messages in a Whatsapp group intended for a totally different purpose. The guy who seemed to have no clue about which group he is posting to like bro Ochola, sent a message about where to 'mwaga' his juice, check out the message below.